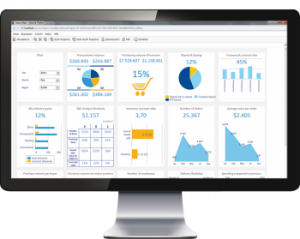 To gather, analyze, modify, and report data, business intelligence tools are of extreme value. Jedox has become among the most trusted business intelligence tools in Malaysia, and for good reason. This tool offers tremendous insight into customer behaviour so you can make better decisions. Jedox is a comprehensive solution for all management levels and processes. As a client-server software program, Jedox is capable of creating Business Intelligence and Corporate Performance Management (BI/CPM) solutions. These solutions help with in-depth analysis, as well as planning and reporting purposes. In addition to analyzing historical data, this business intelligence tool helps with planning and forecasting actual and future data as well. Data are automatically imported with the extraction tool. Nvidia Tesla graphical processors compute power and memory for analysis purposes. Access is provided to software functionality and the central OLAP database. This complementary component is used by clients of ODBO-enabled Windows. By using the Jedox business intelligence tool in Malaysia, you have a 360-degree view of the entire business. With this, you are provided with critical information on which to make sound decisions. As a unified solution for presenting, analyzing, and planning information in an extremely clear and precise manner, virtually every enterprise is empowered. With this business intelligence tool, all departments have the ability to easily capture data, apply consistent rules of business, share insightful information, and agree on common goals. All business processes that depend on information are streamlined. This includes strategic planning, models of complex predictive analysis, monitoring of operational performance, and more. This tool ensures flexible workflow, enriched visualization, significant data performance, and scalable in-memory for capturing, calculating, and presenting key data. This business intelligence tool in Malaysia is empowering. Business users often deal with an array of information issues, and to manage them, most only use Microsoft Excel. The problem is that this creates serious data security risks and hides critical business processes within hundreds of linked spreadsheets. Due to the integration between Jedox and Excel, risks are eliminated and data are accessible. The Gleansight B1 report is a business intelligence benchmark report designed to spotlight high-performing companies that have achieved maximum return on investment. Jedox ranked as number one. Presented by Gartner, Jedox received the “Cool Vendor” award for its success specific to innovative and digital business solutions pertaining to the exploitation of the Internet of Things and digitization. At CEBIT Honoring, Jedox was awarded an IT innovation prize for outstanding design and usability. The goal of presenting this award is to create digital solutions that are more functional and user-friendly. 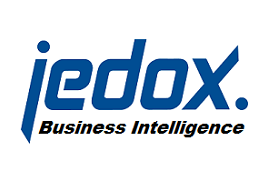 In Malaysia and around the globe, Jedox remains one of the most trusted and respected business intelligence tools. In a recent announcement, Jedox spokesperson unveiled the signing of new contracts linked to two publically listed companies. In addition, the company revealed its business expansion within the United States and Jedox, Inc., the new Boston-based subsidiary overseeing international expansion. With Jedox now in such high demand, over 1,700 companies in 127 countries rely on this business intelligence tool for boosting productivity and achieving success.